John, I’ve got really bad credit. Some of it is my fault and some of it is my ex-husband’s fault. A friend of mine said I should pay for a credit repair company to get stuff off my credit files. Is that legal? Do they work? Answer, If you listened to the credit reporting agencies and the Federal Trade Commission then you’d conclude that credit repair is a scam. In fact, I used share their opinion because I came from the industry and you get a little brainwashed. However, now that I’ve had a chance to see firsthand just how poor of a job the credit bureaus do of maintaining fully correct data, my opinion has softened a bit. I still think some of them are dirt bags but to say the entire industry is a scam is an exaggeration. Credit repair, despite some rumors, is not illegal. There are Federal and state laws that govern how credit repair organizations must operate in order to NOT be acting illegally. CROA (Credit Repair Organizations Act) is the big one. If the company is complying with CROA (you can look it up and review it, it’s not complicated) then that’s the first step to choosing a credit repair company. Also, if they guarantee they can have items removed from your credit profile RUN! That’s illegal under CROA. We know at least one of the credit bureaus sells credit reports to credit repair organizations so they’re being a little hypocritical calling the entire industry a scam. And I know that many of them are successful getting items removed from credit reports. Even the FTC’s own annual compiling of complaints against companies, shows that credit repair generates a very small number of complaints compared to Banks, ID theft, debt collectors, and yes, the credit bureaus. I hope this has helped. As with any service provider, there are good ones and there are bad ones. Do your due diligence before signing up with anyone. Ask for complaints, ask for success metrics, ask for costs, and maybe even ask for references. Don’t worry about BBB ratings. Those have proven to be less about reality and more about coercing payment from companies who want a higher rating. 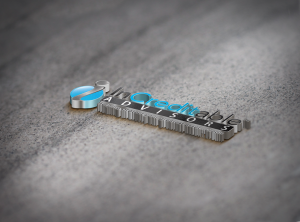 At InCreditable Advisors, we employ the most effective approach to credit repair – tools that allow you to monitor your progress 24/7. It’s nice to know you can expect progress every month. We are here to help you achieve a great credit profile. We work vigorously to resolve issues on your credit reports. We work on items that should be deleted or removed, items that should be updated, and items that should be re-characterized. We’ve studied credit reporting, the credit bureaus and creditor reporting methods to maximize the results we can obtain for you.